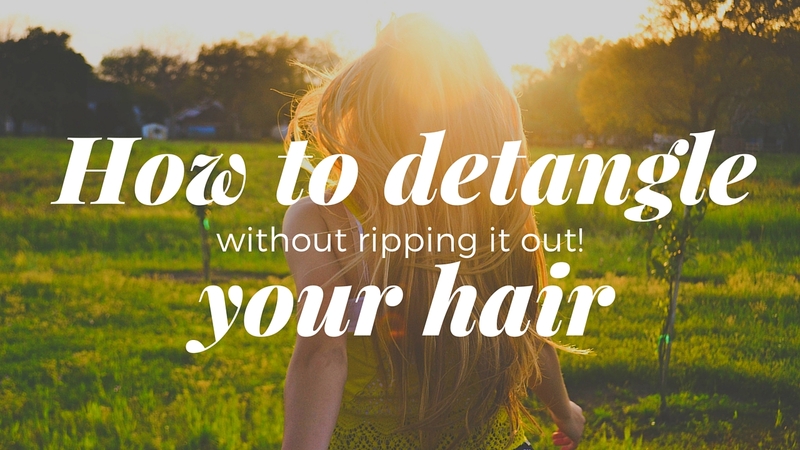 Detangling your hair can be a breeze or just down right agonizing depending on your hair. Sometimes when you are taking down protective styles, detangling seems to be a more complex chore than if you wore your hair straight. One good thing is that you can avoid ripping your hair out with these four tips that I am about to share with you. 1. Take small sections of hair. Trust me when I say that taking small sections is highly encouraged when detangling your wet hair, especially if your hair gets extremely tangled. It may take you a bit longer but you resist the urge to simply shave your head bald because your patience has run out. 2. Start from the bottom. After you have taken your small section of hair, start combing from the bottom up. This will help you detangle faster. Never start from the top because you are more likely to rip your hair out this way. 3. Use a wide tooth comb. Always use a wide tooth comb when detangling. The hair is much more fragile when wet and using a comb with the teeth closer together lead to more hair coming out. 4. Use a detangling product. Using a detangling product in the hair helps loosen the tangles in it which makes the detangling process much easier. Try the Silk Hydration by L. Jones Leave-In Conditioner, which has tons of detangling ingredients in it.